This Monpti arrived here about an hour ago and I am so excited to at long, long last get my hands on a Monpti I haven't even found time yet to put a ribbon in it, let alone test type with it. I promise I will typecast with it, but first I'll break the rule of a lifetime and actually read the instructions before using it. A very special thanks to Peter Muckermann in Germany for getting this Monpti to me so swiftly and safely. The seller wasn't prepared to ship it to me in Australia because "filling out forms is boring". 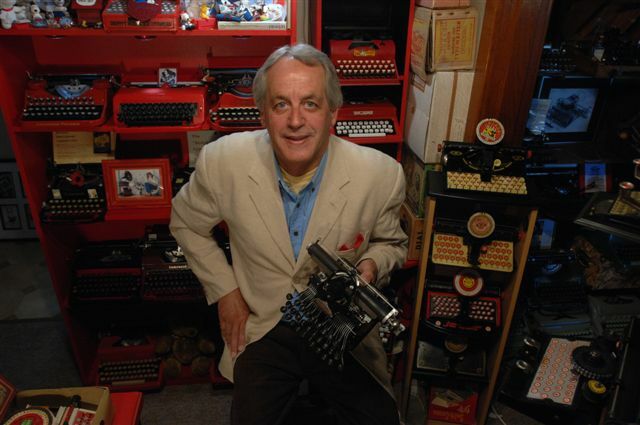 Happily, his typewriter is anything but boring. Credit for the Monpti goes to Budapest-born, German-based designer Stefan Lengyel (above), who created this typewriter in 1968 (a year before Ettore Sottsass's lookalike Olivetti Valentine went into production). 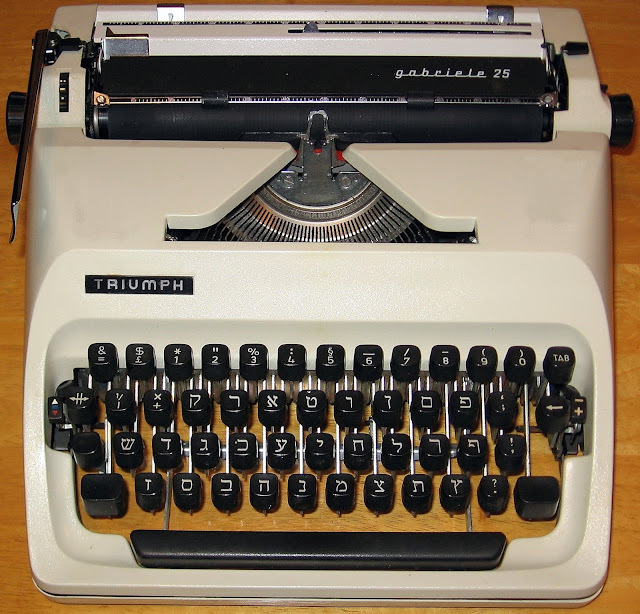 The Monpti was made by Zbrojovka Brno NP in Vyškov, Czechoslovakia (makers of Consul typewriters), and marketed by German department store Karstadt in 1971, two years after the Valentine. A very similar design to the Monpti was assigned by Richard Penney to Sperry Rand in 1969, the year after Lengyel's design. Born in 1937, Lengyel studied design at the College of Applied Arts in Budapest from 1956-61, and in 1964 became an assistant at the Hochschule für Gestaltung in Ulm, where he worked with Hans Gugelot. In 1965, Lengyel went to the Essen Folkwangschule, where he became head of the industrial design department in 1969. In between, he spent time as a guest professor in various countries, including the US, Finland, Italy, Spain, China and Japan. 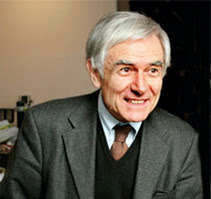 From 1981 to 2003, Lengyel held the chair of industrial design at the University of Essen. Since 2001, he has held the chair of industrial design at the University of Art and Design in Budapest. Lengyel's clients included Berker, Dorma, Liesegang, Krohne, Rheinmetall, Ruhrgas, Mauser Office and Aral. For many years he was also a design consultant for Miele and Rosenthal. Since Baz Luhrmann's The Great Gatsby is not a movie which can be taken very seriously (Flapper Rap? I think not! ), one of the more amusing diversions for Australian viewers is to spot as many Australian actors as they can in this American Dream story. There was a time when Robert Mitchum, from the typewriter town of Bridgeport, Connecticut, played an Outback shearer with his best mid-Pacific accent. Now the drover's boot is on the other foot. One of the first Australians to jump out at me from the big screen at the Dendy Theatre in Canberra this afternoon was my friend Max Cullen, who plays the "symbolic" Gatsby character Owl Eyes. 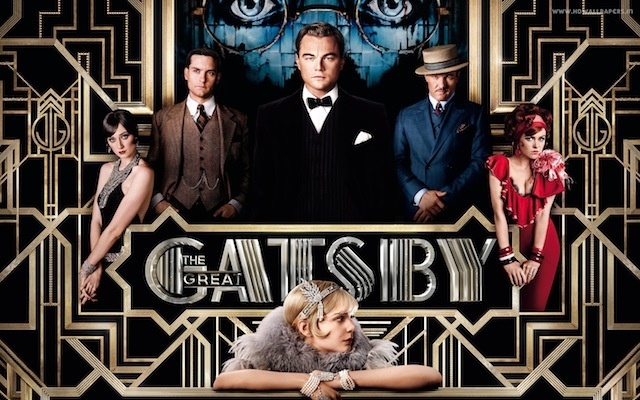 Narrator Nick Carraway (an overly wide-eyed Tobey Maguire) and sassy golfer Jordan Baker (Aussie Elizabeth Debicki,) come across Owl Eyes early on in the movie, rifling through Jay Gatsby's library during one of Gatsby's out-of-this-world parties (Does Luhrmann know no restraint?). I hadn't expected to see Max so often in the past fortnight. 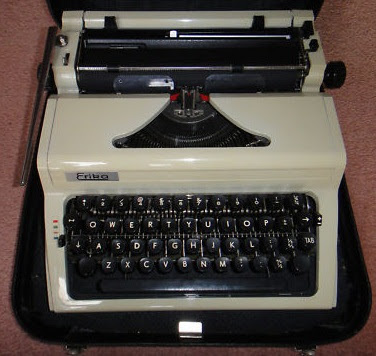 Max, who lives in Gunning outside Canberra, came around to my home the Sunday before last to pick up an Imperial 50 standard typewriter for his one-man show, How To Be (Or Not To be) Lower. Below, Max Cullen with my Imperial in the play's rehearsals. 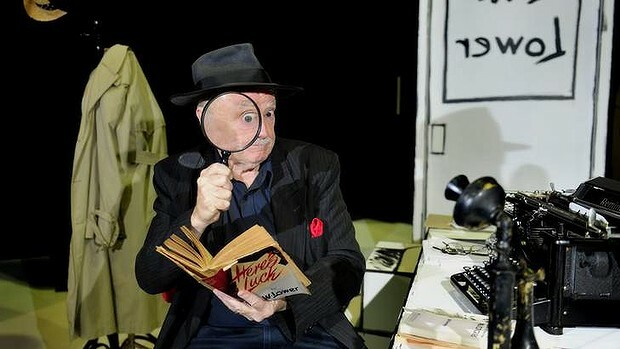 I am going to see Max play "the comic genius of Australian journalism", Lennie Lower, at The Street Theatre in Canberra tomorrow night. 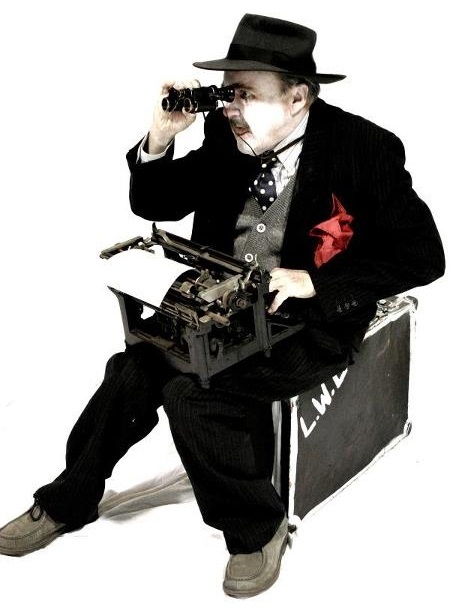 Judging by the reviews of this show, which Max himself wrote, Max has been getting some good use out of the old Imperial - and it is standing up well to the treatment. 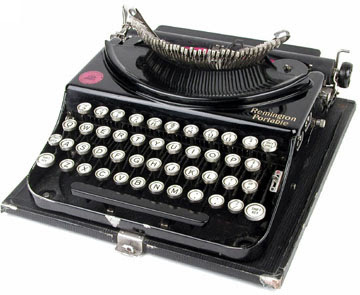 There is only the one typewriter in The Great Gatsby, and it looks to me like a Remington Portable No 2, which didn't reach the market until February 1925 (the movie is set in 1922). 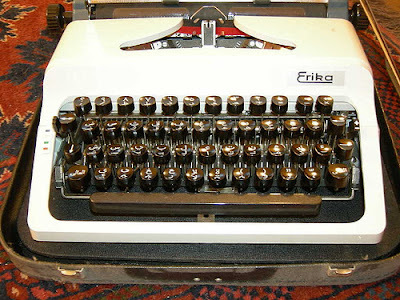 It could be a No 1 - I'll be keen to hear what other typewriter-loving viewers think it is. Some critics said it was an Underwood portable - if that had been the case, it would have to have been a little three-bank. 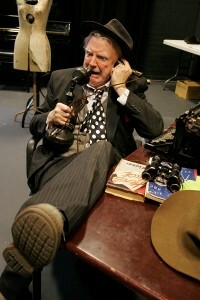 The Remington is seen being used by Carraway/Maguire in the latter parts of the movie, when Carraway is being treated for his alcoholism in a sanatorium by doctor Walter Perkins (played by Australian veteran Jack Thompson). For all I know, this may well be Carraway recalling events three years after they occurred. F.Scott Fitzgerald's book was published in 1925. 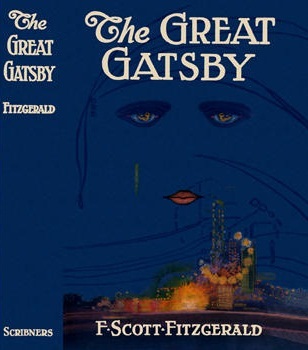 I cannot bring myself to recommend The Great Gatsby. The music, the parties and the car scenes are ridiculous, way, way too far over the top - it's as if Luhrmann set out to make "Jay Gatsby meets John Belushi at an Animal House booze-up stormed by the Blues Brothers". 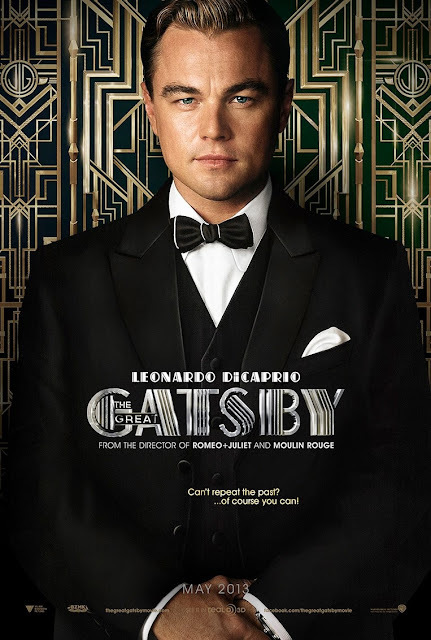 On the other hand, the acting of Leonardo DiCaprio as Gatsby and Australian Joel Edgerton as Tom Buchanan is just superb. Admirers of Fitzgerald and of his magnum opus will not find anything that adds to their appreciation of the novel. Indeed, real purists are more likely to be disgusted. One guy behind us this afternoon stormed out of the theatre loudly proclaiming the movie to be a "bloody disgrace". I might not go that far, but I wouldn't argue either. 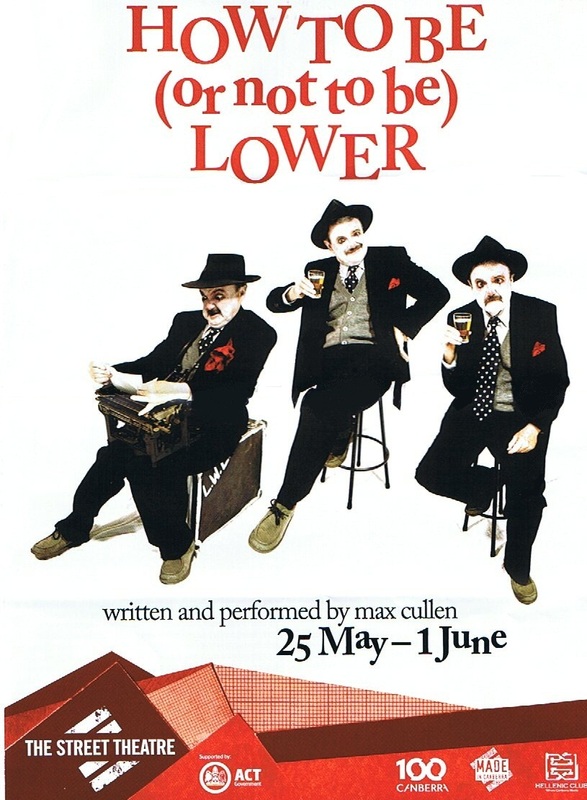 Compared to the flat and rather bemused feeling that this Luhrmann nonsense left me with, I have every confidence I will walk out of Max Cullen's Lenny Lower show tomorrow night with a sense of having been truly entertained (and perhaps even enlightened). Either way, I like the way that Max makes sure he gets the "right" typewriter. Ernest Charles de Burgh was born on March 30, 1892, at Battersea, London, second son of Henry Augustus de Burgh, farmer and grazier, and his wife Annette Elizabeth (Bessie) née Lefroy, both of whom belonged to Western Australia's established landed families. Ernest was educated first by a tutor and then at Guildford Grammar School, Perth, where he was captain, stroke of the boat crew and senior lieutenant in the cadet corps. After leaving school in 1911, he worked for two years as a cadet reporter on Perth's Daily News and for a time managed the family property, Cowalla, at Moore River near Gingin, for his brother Sidney. On May 10, 1917, de Burgh enlisted in the Australian Imperial Force. He reached France in April 1918 and was posted to the 5th Divisional Signal Company. While mending communication lines near Amiens on July 9, he was gassed and invalided to England. He returned briefly to France after the Armistice and was discharged on August 26, 1919 in Western Australia. Although he again tried farming at Cowalla, de Burgh found that his health was unsatisfactory and joined The West Australian newspaper in 1922. He became a leader-writer in 1933 under H. J. Lambert and editor-in-chief on August 21, 1946. He held this post until his retirement on July 1, 1956. As editor-in-chief, he continued his interest in agricultural matters and campaigned for the development of sand-plain farming, notably in the Esperance area, where he influenced the establishment of an agricultural research station. Politically conservative, de Burgh was a Western Australian patriot who believed that the State should generate its own economic development and financial independence, but he nonetheless supported increased Federal income tax. He was also concerned with strengthening Australia's defences following the experience of Japanese raids on northern Western Australia during World War II and advocated the establishment of a naval base at Fremantle. Unlike most of his contemporaries, he took a sympathetic interest in Aboriginal issues, as did his younger colleague (Sir) Paul Hasluck. Using The Times of London as his model, and maintaining strict standards of accuracy and expression in his carefully crafted editorials, de Burgh never adapted to the tabloid format necessitated by post-war shortages of newsprint. He also resisted pressure from his managing editor, James Edward Macartney, to liberalise and popularise the newspaper. A pleasant and widely-respected man, de Burgh was steeped in English literature and the Bible. He was essentially a private person who kept aloof from the more robust side of journalistic life. Interested in local history, he was a stalwart of the Royal Western Australian Historical Society. While he was appointed OBE in 1955, he was never a public figure and remained a farmer at heart. He died on June 18, 1977 in Perth. Above, the Adler Gabriele 25. 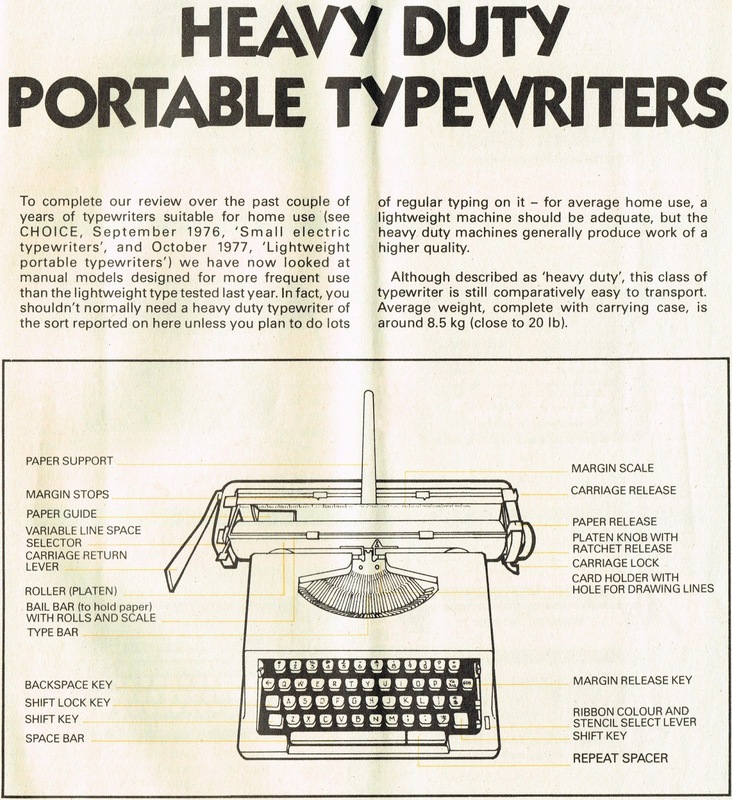 The 1978 Choice magazine review of "heavy duty" portable typewriters includes an image of this model, but its report is actually on the Gabriele 35, a somewhat larger model, as can be seen below. Both Adlers are excellent typers which consistently ranked highly in consumer association reports, both in Britain and Australia. Earlier this year - thanks to John Lambert, of New Haven, Connecticut - we were able to look at the four editions of the British Consumers' Association's Which? 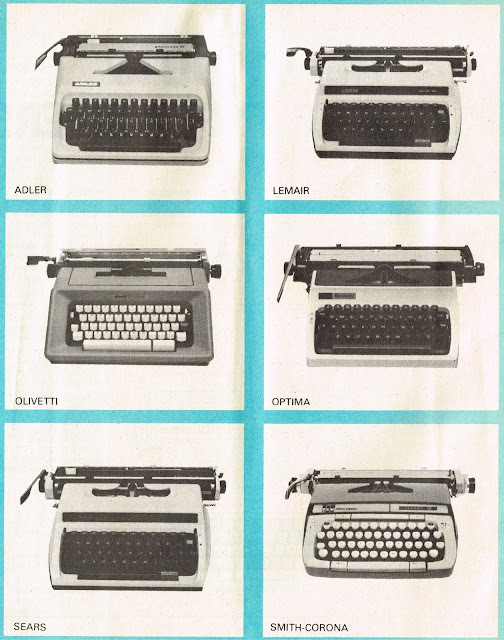 magazine which reviewed portable typewriters from 1962 to 1979. 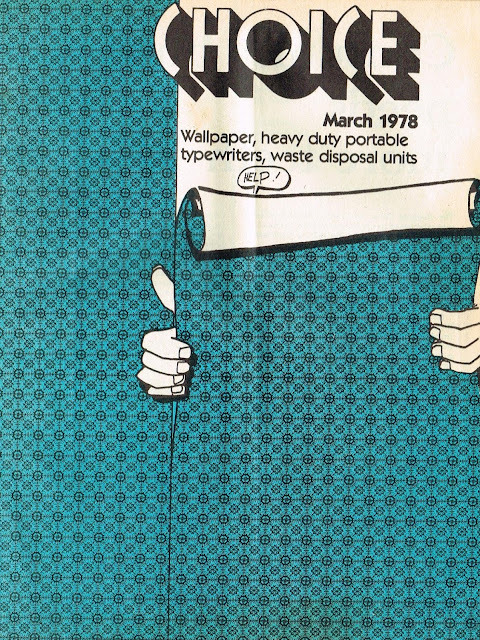 In September 1976, the equivalent Australian consumers' publication, Choice, decided to follow suit and review typewriters available on the Australian market. The first Australian report was on small electric typewriters, followed in October 1977 by lightweight portables. Finally, in March 1978, Choice reviewed what it called "Heavy Duty Portable Typewriters". Oddly enough, all six machines Choice subjected to critical analysis in 1978 - the Adler Gabriele 35, Lemair (Brother) 1613 and Sears (Brother) 5262, the Spanish-made Olivetti Studio 46, Optima (Robotron) 41 and the Canadian-made Smith-Corona Classic 12 - had already been included in the lightweight portables review, five months earlier, as was the Citizen X3 (in my book, a "heavy duty" portable). 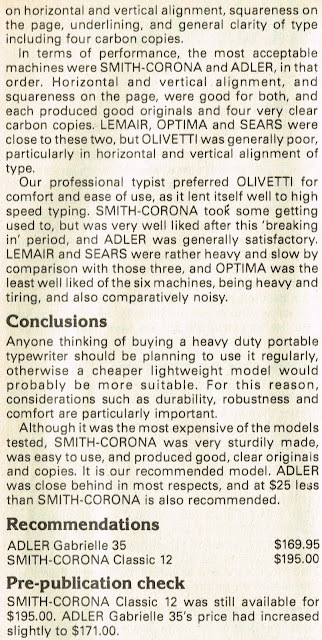 What's more, the Lemair and Sears machines (1613 and 5262) were the same Brother typewriter, so all up this model was reviewed four times! Brother itself was covered in the lightweight portables issue. 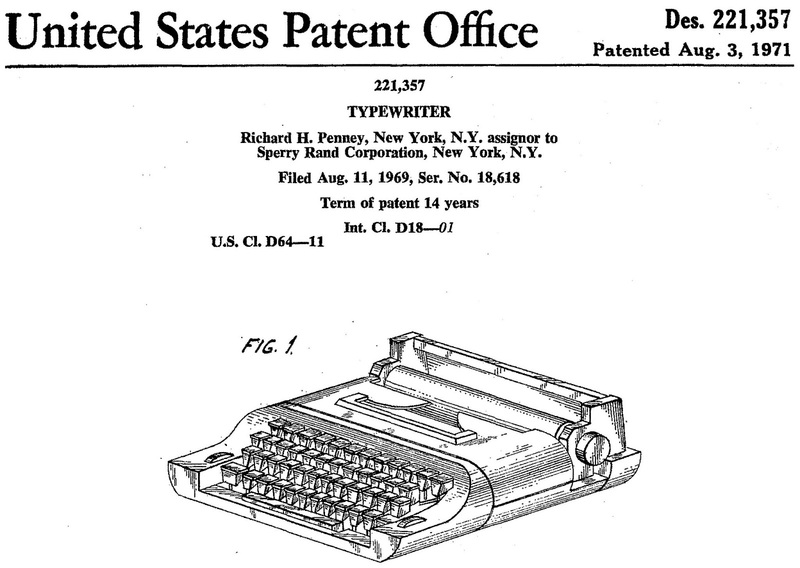 Sears typewriters were sold in Australia by Waltons, not Sears. (In the report below, for Lemair and Sears, please read Brother.). The Gabriele 25 with the Triumph marque. 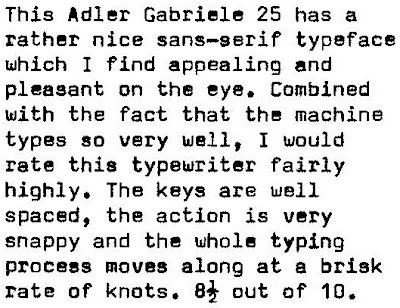 The Adler Gabriele 35, which presumably is the typewriter covered in the Australian "heavy duty portable typewriters" report, not the Gabriele 25 which it pictured. 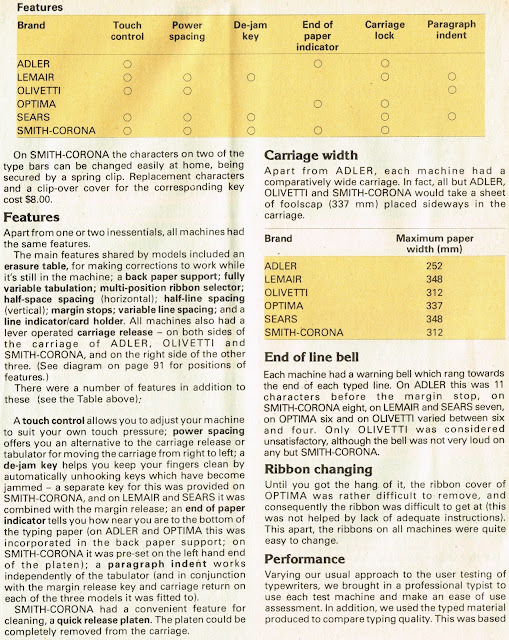 This model Gabriele 35 was rated "good but pricey" by the British Consumers' Association in its December 1979 issue of Which? magazine. 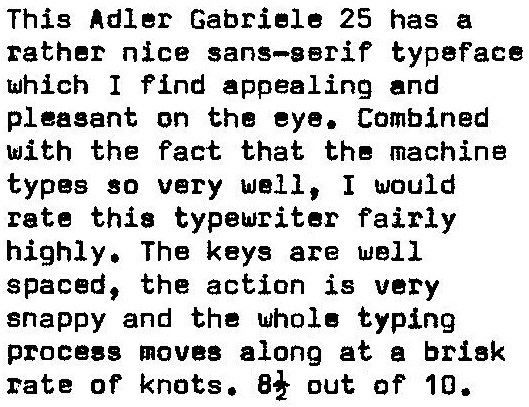 This earlier version of the Gabriele 25 was the top-ranking typewriter in the 1973 British Consumers' Association report on portable typewriters. Yet again, it is certainly a fantastic typer. The Smith-Corona Classic 12 (I am showing my own almost identical version above, the Galaxie 12) was, with the Adler Gabriele 35, the typewriter ranked as "recommended" by the Australian Consumers' Association in its Choice magazine report on "Heavy Duty Portable Typewriters" in March 1978. 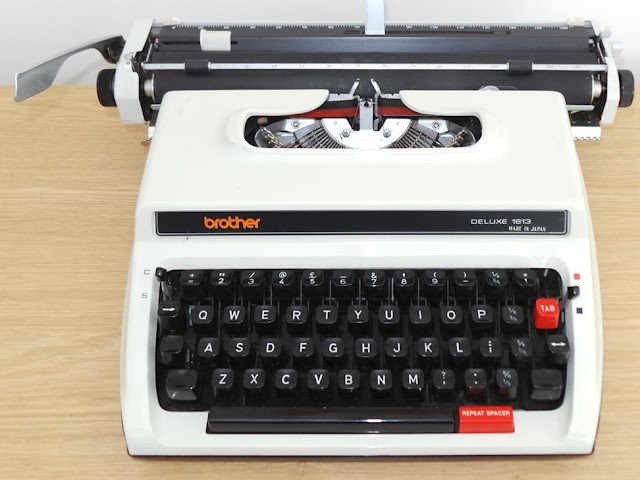 The Brother Deluxe 1613 was reviewed a remarkable four times in five months by the Australian Consumers' Association for its Choice magazine reports on lightweight and heavy duty portable typewriters, in October 1977 and again in March 1978. 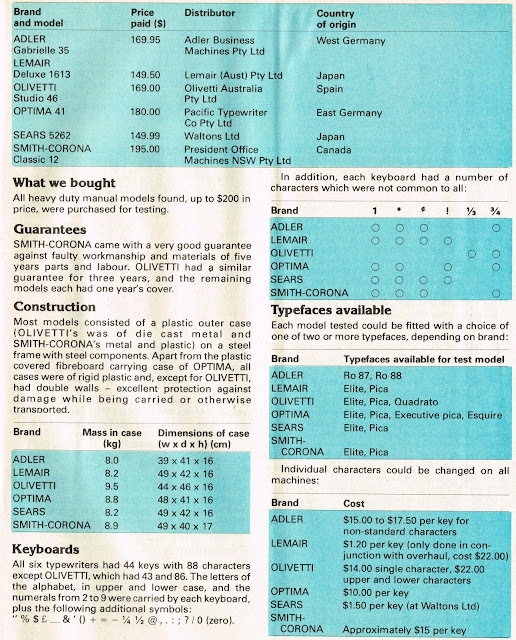 In each case, it was reviewed not as a Brother, but as a Lemair 1613 (Lemair was a Brother retailer in Australia) and Sears 5262 (the Sears Brother and ABC models were sold by Waltons in Australia, which did not have Sears stores. Waltons had established an alliance with Sears in 1955.). One of these brilliant Brother models, in immaculate condition, attracted only one bid and sold for a mere $19.95 on Australian eBay last night. 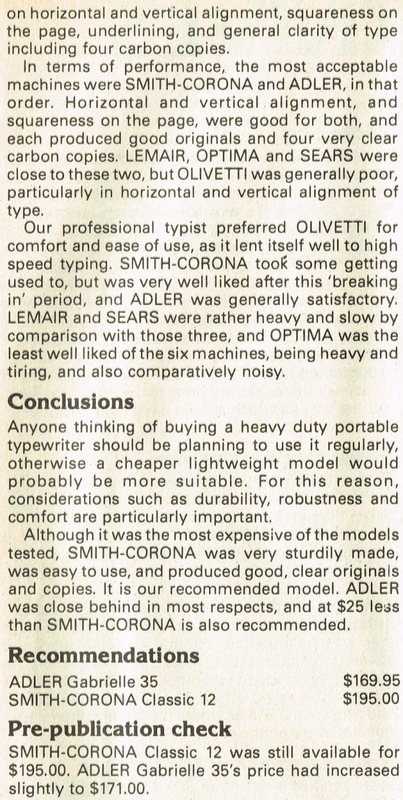 It seems rather silly of Choice to review the same typewriter twice in two separate issues. Above, the Erika Daro/Optima 41. There were three variations, the Erika/Optima 40, 41 and 42 (with different carriage widths). 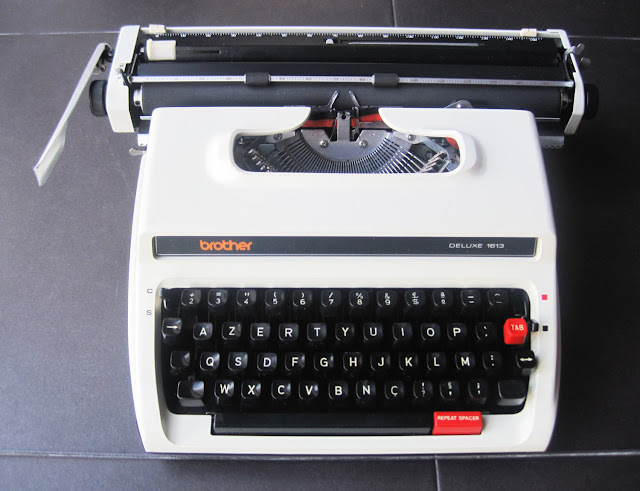 This typewriter, made by Robotron in East Germany, also sold in Australia as the Hanimex Elite 32 and in Britain as the Boots (through the chemist shop chain). As the Boots, it was reviewed in the British Consumers' Association's magazine Which? 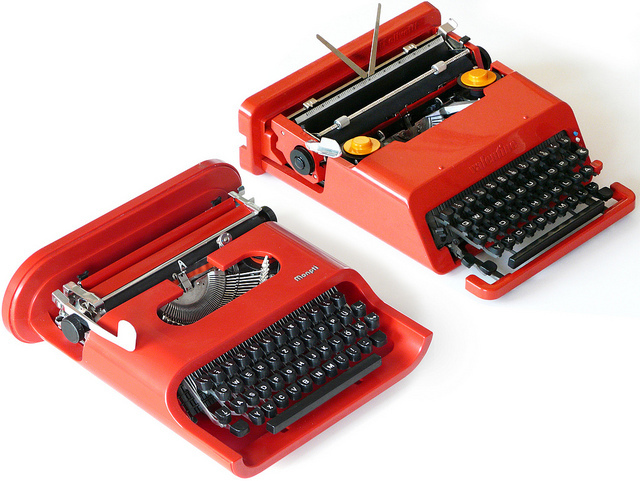 in 1973, along with a Smith-Corona Classic 12 variation, the Viceroy Deluxe. 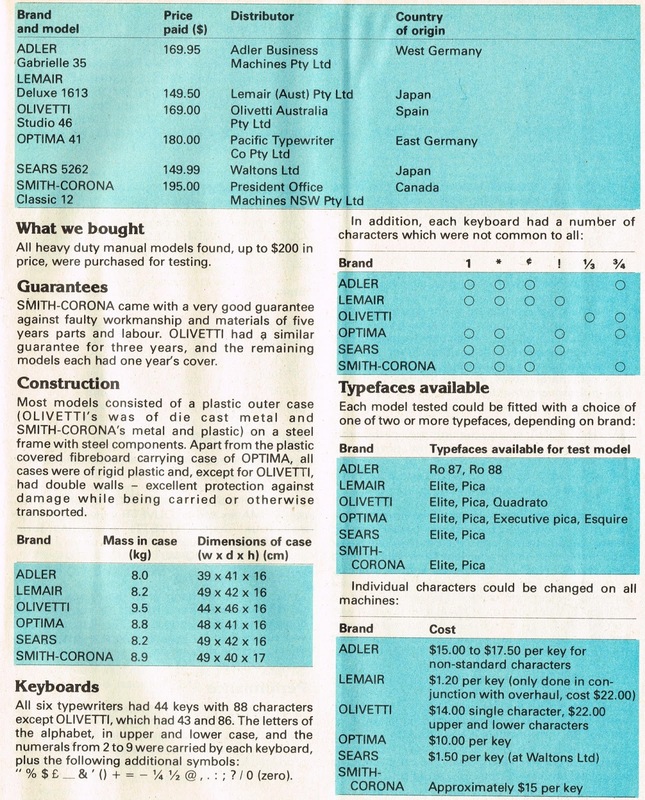 Robotron produced for Erika and Optima (and others, such as Aztec) four basic designs, which Robotron itself classified as the 30-40 (bottom below, aka 14 and E14), 32-42 (above), the 34-44 (aka 50-60, centre below), and the 100-106 (below, confusingly also marketed as a 34). 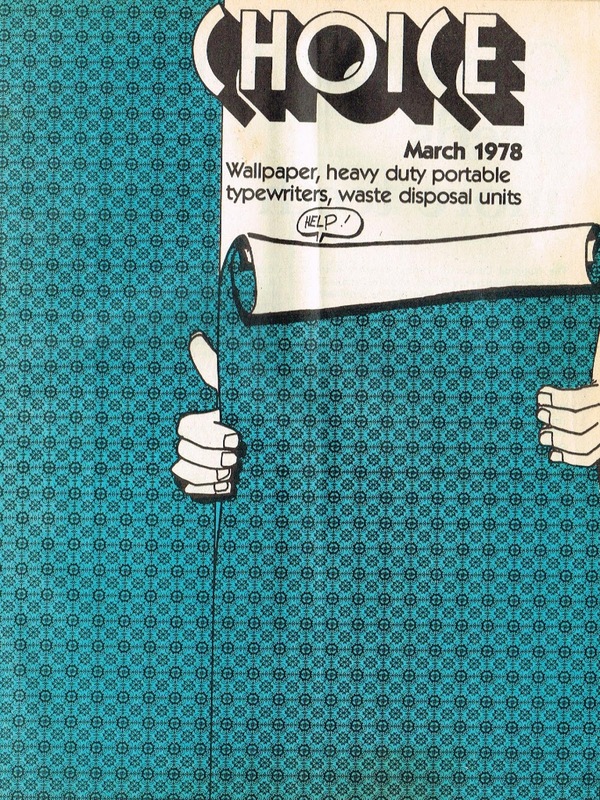 NEXT: Lightweight Portable Typewriters, Choice, October 1977.